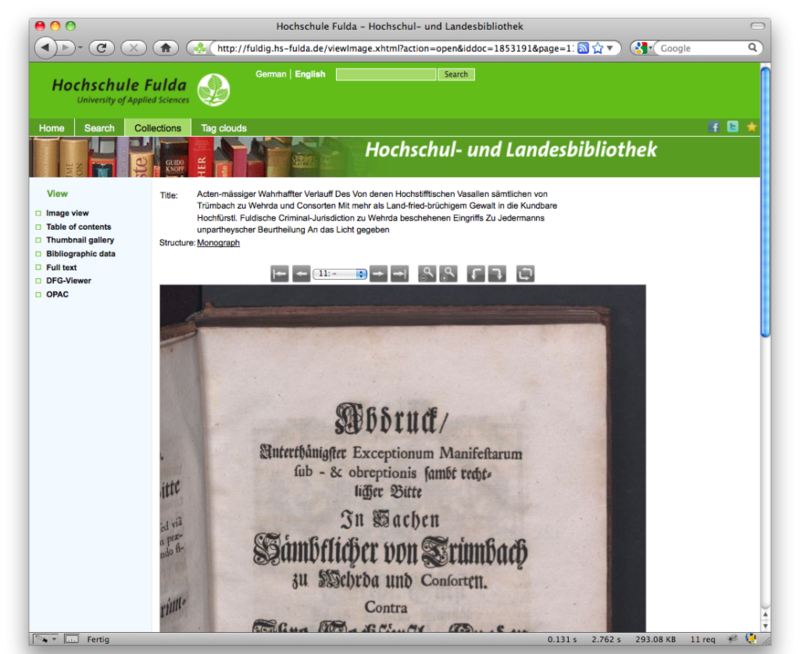 Searching and Navigation in the digital library. The Goobi viewer’s integrated search function allows your website visitors to effectively research and explore your digitised material. The application features conventional search methods. If you look for a particular title, you will be shown a summary list of search results. You can then sort or refine and adapt these results. By default, the hits displayed will contain a thumbnail of the first page, the title and the author. You can change the way hits are displayed in the settings. To increase the effectiveness of this function for users while improving the way hits are displayed and providing greater clarity, the Goobi viewer also allows you to present individual thumbnails, i.e. you can select and set a representative image for each work. This does not have to be the title page. In fact, it can be any page you wish – from the index to the last page. This means that for each work you can specify how individual hits are shown. Instead of a simple search, you may wish to perform an extended search. 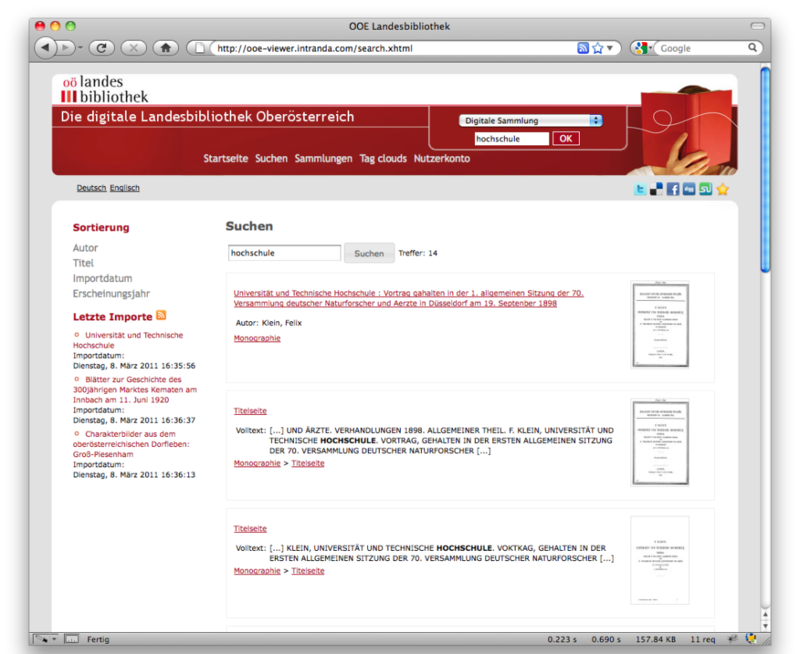 Both allow you to search both metadata and full text or you can limit your search to one or the other. As well as combining search terms or entering a particular phrase, with the extended search you can also enter functions such as conditions for the title, persons, the location where the work was published and other selected fields. Thanks to the search index based on Apache Solr, users can also link a complex series of parameters. At the same time, the Goobi viewer offers simple browsing mechanisms that allow users to browse your content, persons, keywords or any other configured field. The Goobi viewer also permits rapid faceting, i.e. additional filtering of search results. A faceted search of the work that has been opened is based on properties that complement each other and adapt themselves dynamically to the search request. Since each facet (e.g. year, publication type, location) can act as a filter, users can narrow down their search very effectively and quickly find what they are looking for even if the volume of data being searched is huge. Conducting a search with the Goobi viewer is made even easier with the integrated year and calendar search functions. The results can be stored as a list or as a particular digitised image. You can also subscribe your searches and collections in the form of an RSS feed. Using the Goobi viewer’s search function, you can therefore perform all the detailed searches you may need for your work. 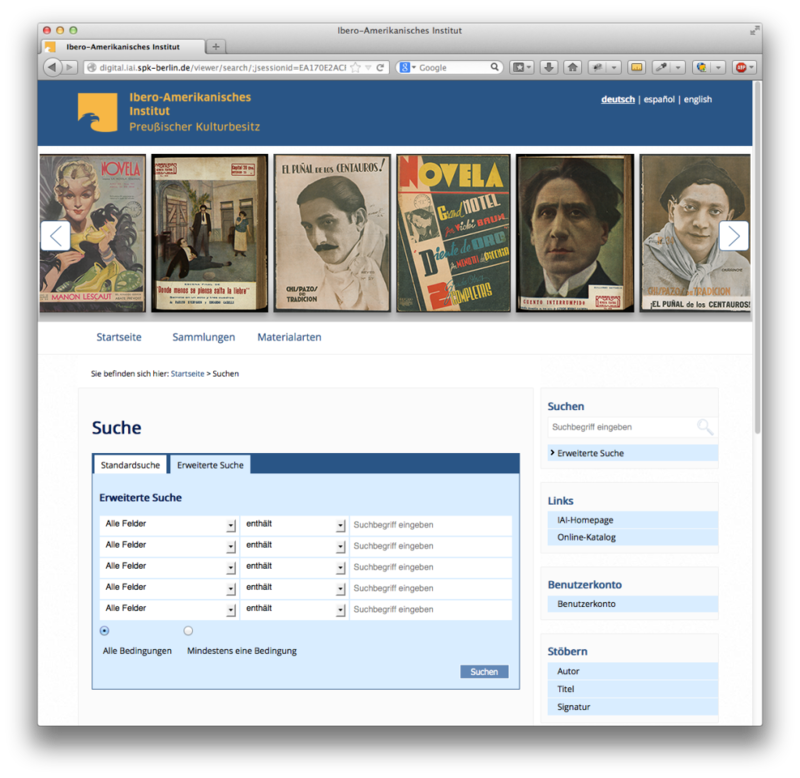 The aim of digital libraries is not simply to make images available when presenting the results of digitisation projects, so a user-friendly viewer application has to offer something more than the facility to move from one page to the next. Information such as pagination sequences and structural data can be used to make the process of navigating between digitised images as simple and intuitive as possible. Dynamic size adjustment and individual page rotation ensure that the user can read the entire contents without difficulty. Highly detailed information about the exact structure of each work is usually provided by standardised METS files. 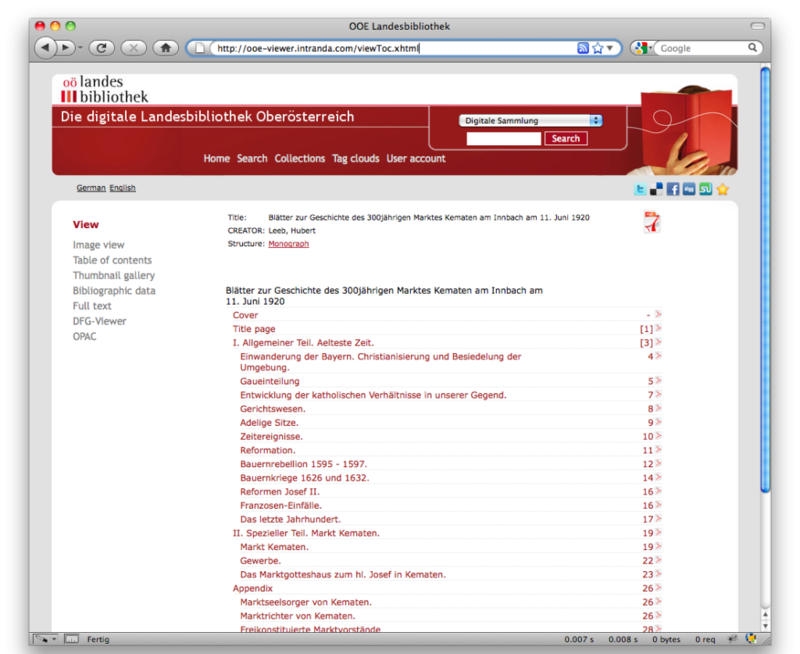 For example, a clear index will help the user to locate a particular chapter of a book. The Goobi viewer also allows users to dynamically generate PDF files and archivable PDF/A files – for particular structure elements, too, and incorporating an individually configurable title page. 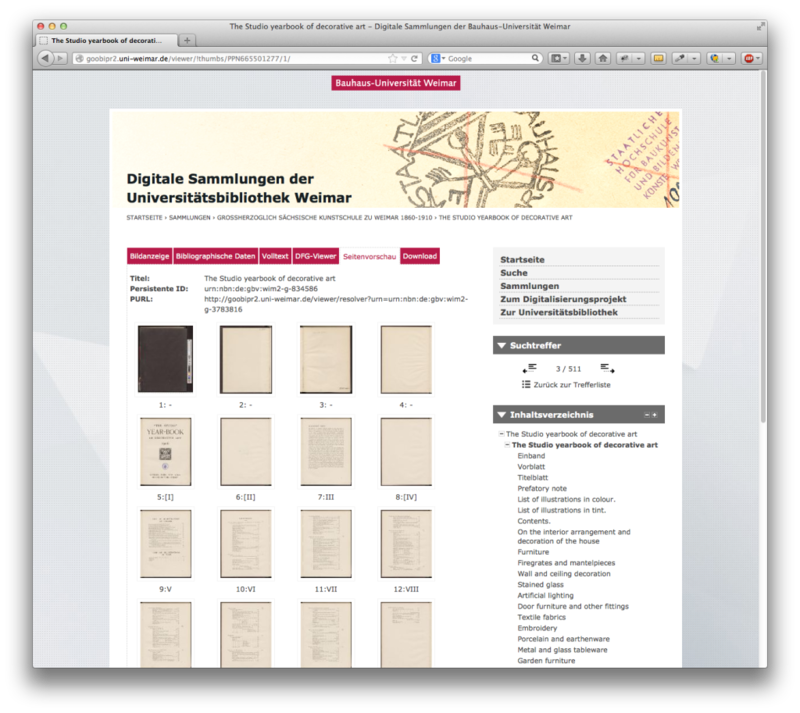 Depending on requirements, the viewer will frequently need to offer other methods of displaying digitised material, and in this respect the Goobi viewer is highly flexible. 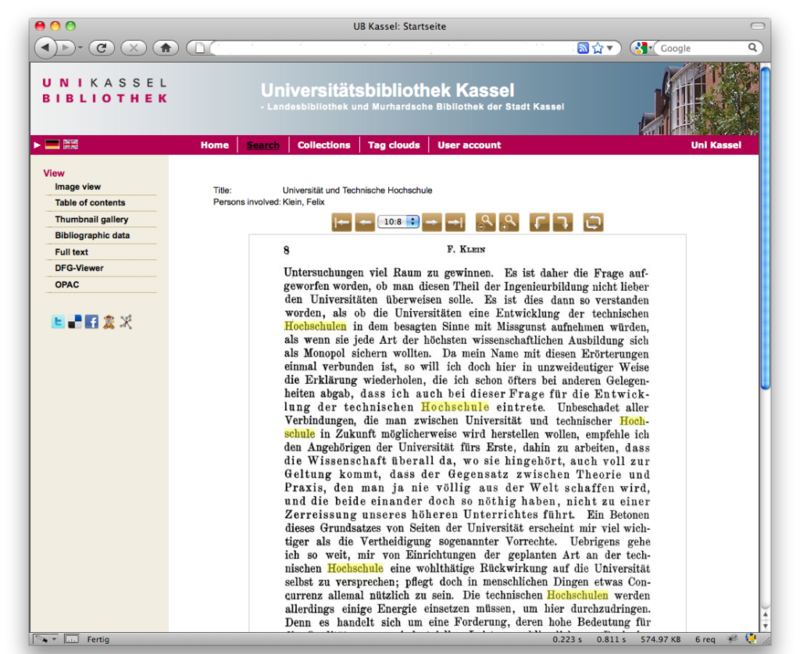 By way of example, works can be viewed in thumbnail form with a large number of pages shown simultaneously; users can navigate between the full text passages they have captured; and pages can be displayed with highlighted search hits based on full text matches generated using an OCR service.